The University of California, San Diego is one of only five public universities in the U.S. to make the top 20 list in a new ranking of the world’s top 500 colleges. The campus took the No. 18 spot in U.S. News and World Report’s first-ever global ranking of universities which measured factors such as research, global and regional reputation, international collaboration as well as number of highly-cited papers and doctorates awarded. Though the criteria for these rankings is different from the U.S. News Best Colleges and Best Graduate Schools rankings of U.S. programs, it is consistent with other global rankings which have also listed UC San Diego in the top 20 for the world’s best universities. The campus was recently ranked the 14th best university in the world for the second consecutive year, by the 2014 Academic Ranking of World Universities (ARWU). 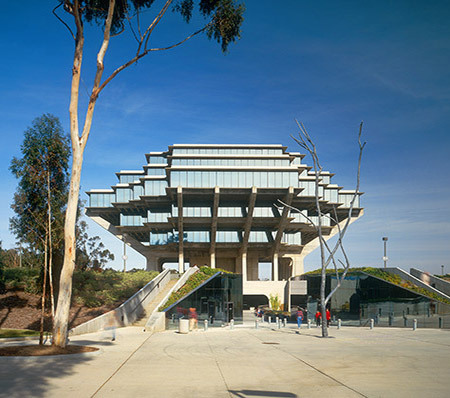 UC San Diego was also named the 20th best by the Center for the World University Rankings (CWUR). According to U.S. News and World Report, in the publication’s overall Best Global Universities rankings of the top 500 institutions, U.S. public universities performed well. “For some public U.S. universities, conducting cutting-edge research and producing top academic papers are among their strengths,” U.S. News and World Report states. Five U.S. public universities are in the top 20, with the University of California, Berkeley ranked at No. 3 and the University of California, Los Angeles ranked at No. 8, followed by the University of Michigan, the University of Washington and UC San Diego. The overall Best Global Universities rankings encompass the top 500 institutions across 49 countries. According to U.S. News and World Report, the new rankings “offer the most comprehensive assessment of research universities worldwide as well as by region and country.” For the complete list of U.S. News and World Report’s Best Global Universities, go to: usnews.com.